Woo Hoo! Double digits! Well, well, well. I am trying to remember what I have ate the past couple of days. Tuesday we had leftover curry for lunch. Today- I woke up and had some grapes and nuts. Then I went to a Pure Barre class and it was very tough! It was a different type of tough than CrossFit is... I wasn't on the ground laying in my own sweat, gasping for breath like I am after CrossFit, but I had trouble with a lot of the movements. The movements are dance oriented and call for grace and balance. I am one of the worst dancers you will ever see so I am sure it looked pretty hilarious! After that I went to Yoga and it was a very restorative and relaxing class. I ran to Whole Foods and ate some lunch which was AWESOME. I had chicken, with greens, sweet potatoes with cajun seasoning and some other veggies. 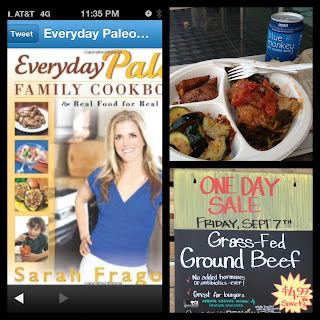 I also learned about a grass fed beef sale at the Whole Foods on Friday and I will be there! 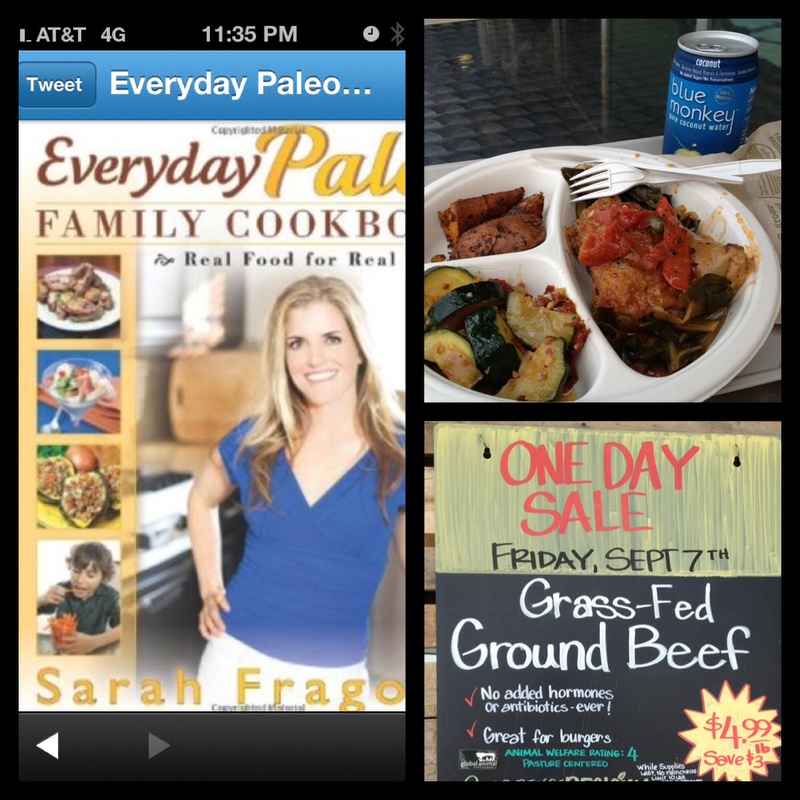 OH and I found out one of my very favorite Paleo authors is coming out with another cookbook that I cannot wait to purchase!! After lunch and shopping I headed home and made dinner. I honestly grabbed chicken and spaghetti squash randomly and then got home and was like, "Oh crap, maybe I should have planned this out better!" So I decided to throw together a lot of leftovers. I shall call it...."Chicken Spaghetti"
This is very easy. All I did was used some olive oil and cooked the chicken (cut into small strips). 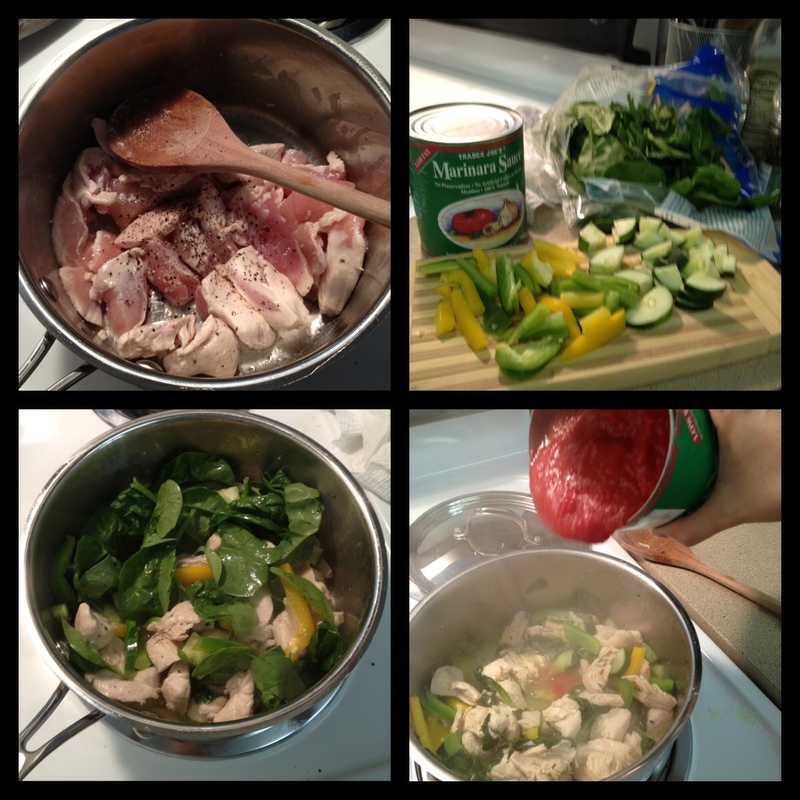 Then I added leftover bell peppers, spinach and zucchini. I let the veggies cook with the chicken for about 5 minutes and then added a can of marinara. While that was cooking I had cut the squash in half, took out the seeds, and threw it in the oven at 350 degrees until I could easily poke a fork through it (30-45 min). 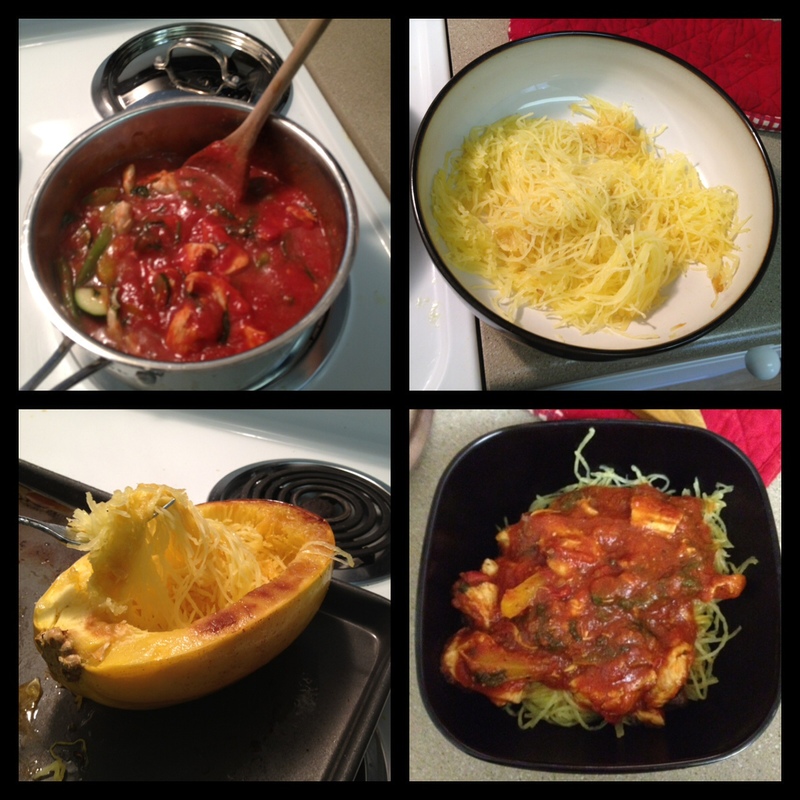 Then I used a fork the get the "spaghetti" out of the squash, threw it all in the fridge, went to CrossFit (yes, I worked out 3 times today- why? 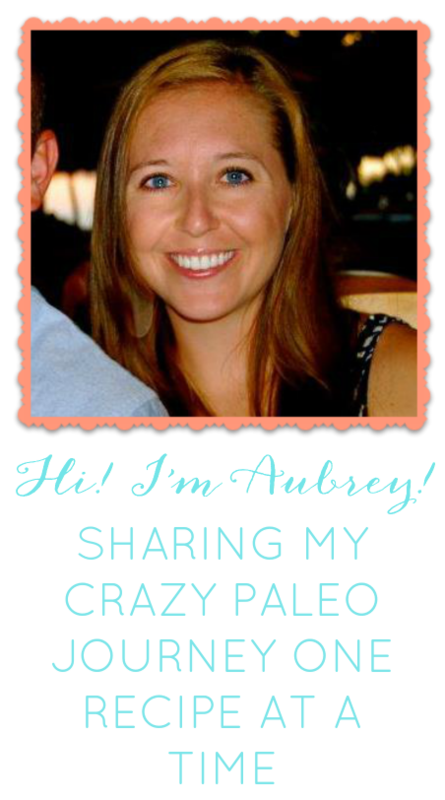 I don't know maybe it's all this energy from eating Paleo!) grabbed Matt from work, came home, heated it all up and ATE! 10 days down and 20 to go!